What can you get for a grand these days, especially in marine electronics? Turns out your fish finder options have never been better for $1,000 or less. You can have your pick from several different 7 and 9-inch models that are just as feature packed as units costing twice as much. The rest of this article will break down the pros and cons of these carefully selected fish finders. The goal is to make it easier to choose the right unit for your fishing. There is a lot to unpack in this price range, so let’s dive right into our Top 5 recommendations. Here is a comparison table of our recommended fish finders. Each of these models are “all-in-one” type units, with 2D, Down, and Side imaging out of the box. But there are quite a few differences when you break down the specs, especially in the sonar frequency capabilities. If you want the best imaging, look no further than the Helix 7 MEGA SI G3N. 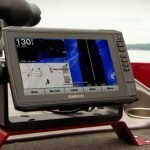 If you want the largest touchscreen for the money, the Garmin echoMAP Plus 93sv is our top choice. What Can You Get for $1,000? Generally speaking, 7″ to 9″ are the maximum sizes in this price range, several of which are touchscreen models. You’ll also be able to get into side and down imaging. Sure, there are plenty of Down Imaging only units under $1,000 but why limit yourself when there are 5 awesome “All in One” units that can do it all? With those main understandings, here are our Top 5 Fish Finders Under $1,000. The Garmin echoMAP Plus series have really found a following among serious fishermen. 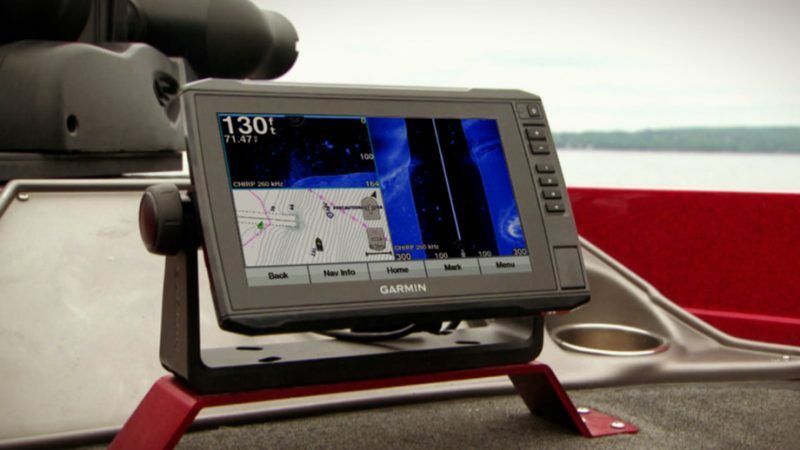 With loads of fish finding features and a bright 9-inch touch screen, the 93sv is in the sweet spot of screen sizes that easily displays sonar and map information side by side without struggling to see it all. Bright 9″ touch screen with loads of mapping and connectivity options. The 93sv has several mapping options. You can use the thousands of maps that come standard with the preloaded LakeVü HD G3 charts, use your Navionics MicroSD card, or make your maps with QuickDraw live mapping. Most other models will require the purchase of a map card. The 93sv is extremely popular for anglers adding Garmin’s Livescope sonar technology to their boats. Anything smaller and it’s hard to view. So if you are at all interested in the Livescope technology, the echoMAP plus units are the most affordable way to upgrade. The Hook2 9 TripleShot is another 9-inch all-in-one fish finder and a more budget friendly one at that. It can do most of the same things as the echoMAP Plus but lacks the touchscreen. If that doesn’t matter much to you, why not save a few bucks? 9″ SolarMax screen plus good imaging quality make it an excellent value. Excellent DownScan imaging quality, and decent SideScan quality. The Hook2 series has proven to be a popular fish finder for Lowrance. They are very affordable compared to higher end units of the same size. This fish finder gives you all the sonar options you’ll need out of the box. If you don’t care about some of the more fancy functions like live mapping, or being able to add on accessories, the Hook2 9 is a great choice. The Raymarine Element series is all new for this year. These units are directly comparable to Humminbird Helix MEGA units. Both have non-touch screens, CHIRP, and Megahertz capable all-in-one transducers. If the imaging is anything like the popular Dragonfly series, the Element will be an excellent unit for the money. Only other Mhz capable imaging unit in this price range (HyperVision). Raymarine is well known for excellent sonar and increasing in popularity with freshwater anglers. The Element 7 HV has some benefits over the Helix 7, namely the ultra bright 1500 nit glass bonded display, and dedicated down looking imaging crystals in the HV-100 transducer. It also has better connectivity options, with optional SeaTalk networking (buy accessory cables), Bluetooth, and Wi-Fi (which the Helix 7 lacks). 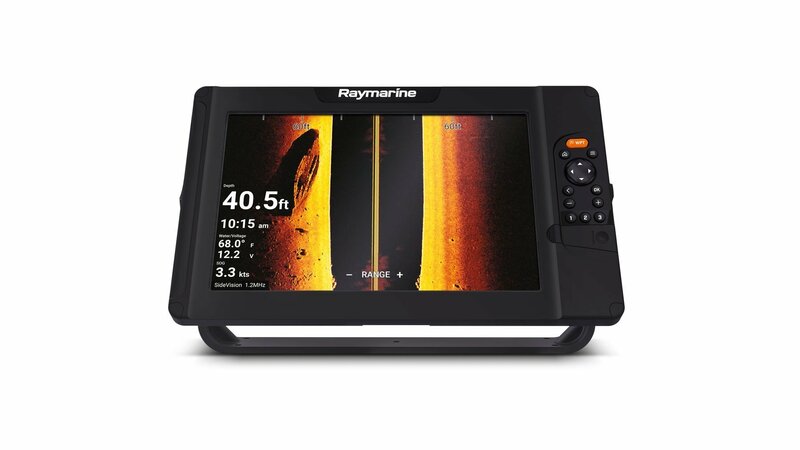 If Humminbird isn’t your thing but still want the best imaging possible, check out the Raymarine Element combos. 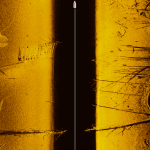 MEGA Imaging has exploded onto the fish finder scene, providing the clearest, most detailed imaging yet. Until this year MEGA has only been available on the larger HELIX and SOLIX fish finders. 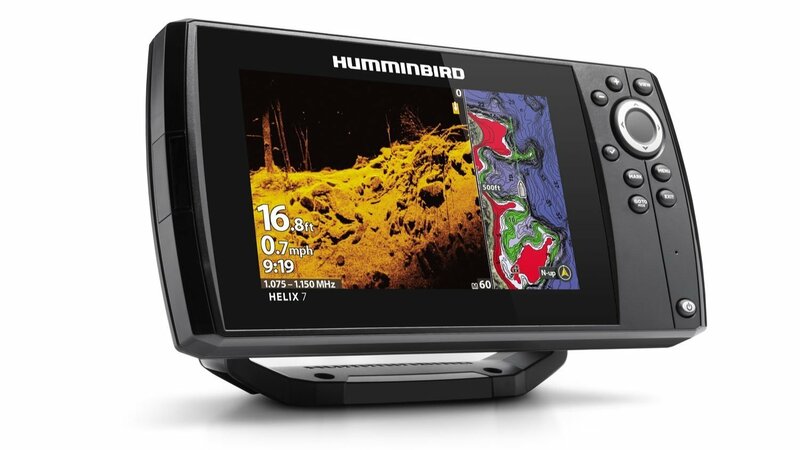 Humminbird found a way to put MEGA into the lower cost HELIX 7, giving more anglers the opportunity of clearer imaging. 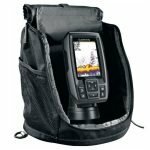 Lowest priced MEGA capable fish finder. Maps: Lakemaster and Navionics compatible, AutoChart Live built in. This little fish finder is packed with features yet stays well under a $1,000 MSRP. 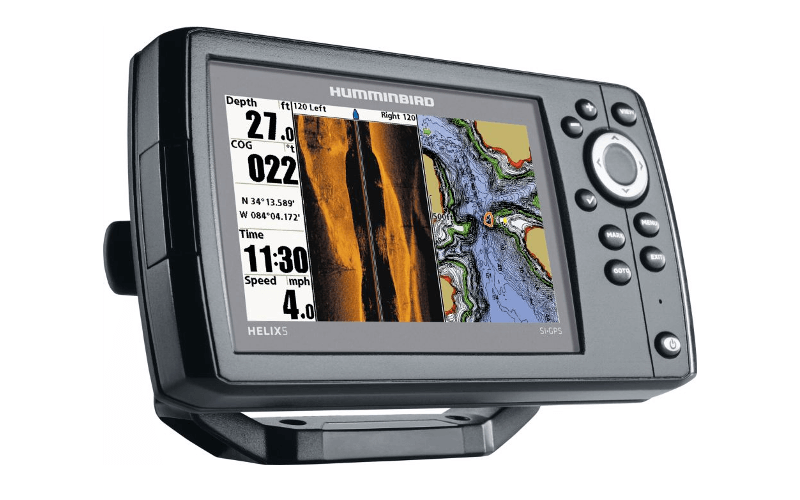 The Helix 7 MEGA SI is easy to use, running on Humminbird’s standard OS that has proven user-friendly and intuitive. You get 8 hours of AutoChart Live recording, after which you’ll want to use a ZeroLines card to download your maps. One drawback is the lack of dedicated down imaging crystals in the XNT 9 HW MSI T transducer. You could even network two Helix 7 units side by side, on with full screen MEGA and a simple sonar/GPS split screen on the other for a working man’s dual screen setup. The Elite Ti2 series are aimed at anglers who want a little more technology in their fish finder without paying the hefty price tag for an HDS Live unit. The Elite Ti2 delivers plenty of fish locating features without putting you into debt. 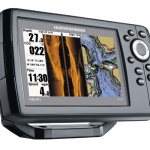 All-in-One fish finder for those who want a touchscreen and excellent DownScan imaging. Sonar: CHIRP 2D, 455/800 kHz SideScan and DownScan imaging. 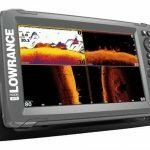 If your style of fishing depends on Down imaging and CHIRP 2D sonar, Lowrance has long had some of the best units available. The Elite Ti2 is no exception, utilizing the 455 and 80 kHz DownScan and SideScan in the Totalscan All-in-One Transducer. one drawback is this is the most expensive 7-inch fish finders out there, and you could find some bigger models that are quite good themselves. If your boat is already set up with Lowrance though than the Elite-7 Ti2 would be a great choice. 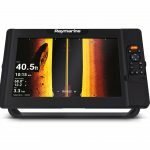 Best Fish Finder Under $1,000 Overall – The winner is the Garmin echoMAP Plus 93sv, and it’s not really close. A 9-inch touch screen with SideVu, DownVu, CHIRP sonar, and can be upgraded with UltraHD or Panoptix LiveScope cannot currently be beaten. Best Value – If you simply want the best bang for your buck, we recommend the Lowrance Hook2 9 TripleShot. You get a nice sized screen and the same sonar options as the Garmin for a few hundred less. 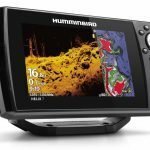 Best Imaging – For anglers who want Megahertz imaging, your best options are the Humminbird Helix 7 CHIRP MEGA SI GPS G3N and the Raymarine Element 7 HV. There are no touchscreens or options to upgrade sonar, but for the crisp images, this is the way to go.